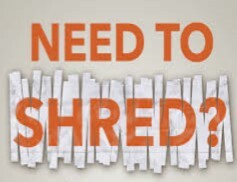 PALMDALE – The city of Palmdale, in partnership with Waste Management of Antelope Valley, will host a free document destruction/shredding service this Saturday in Palmdale. It’s happening from 10 a.m. to 1 p.m. Saturday, Feb. 9, at the Palmdale landfill, located at 1200 West City Ranch Road. Palmdale residents may bring up to five standard size boxes of documents. Proof of residency and account in good standing is required. Metal clips, binders and plastic sheet covers must be removed from documents prior to shredding. Staples, file folders and envelopes are okay, but no commercial waste will be accepted. This ongoing free event is held on the second Saturday of each month. For more information, call 661-947-7197 or visit home.wm.com/palmdale.